Sending everyone a bit of Irish luck today! 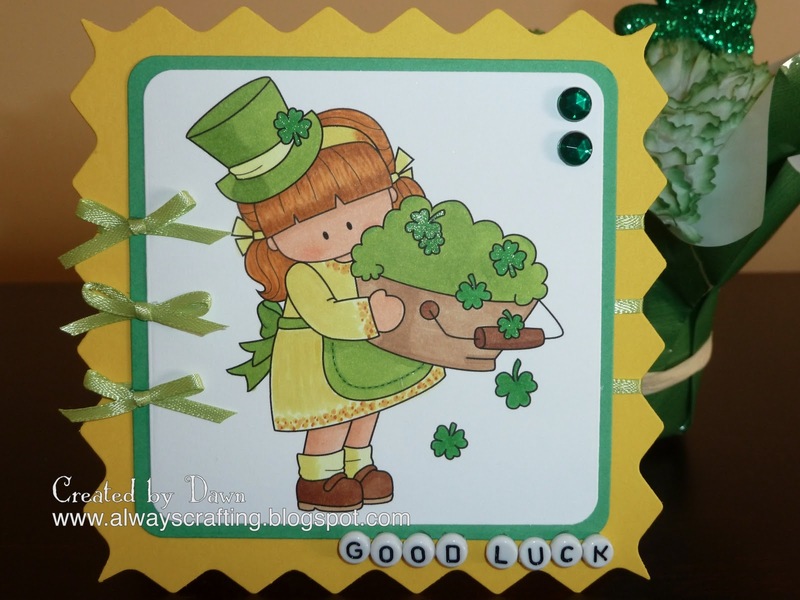 This card is made with "Clover Leah" from Whimsie Doodles. copic markers and Atyou Spica green marker (for a bit of sparkle). Isn't she sweet carrying a bit of clover for some Irish luck! I like your little girl image. Great use of the crystal embellishments. Thanks for sharing on the Belli challenge. What a wonderful holiday card!! Thanks for playing in the Belli challenge with us!